Teachers and homeschool parents, here are free printable science worksheets, charts and diagrams of life cycles. Use these for biology, anatomy and earth science. The California Forest Foundation has produced a free printable science charts and diagrams booklet. 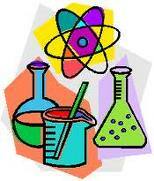 All you have to do is register for the site (it's free) to get free printable science worksheets and lesson plans. Here's a packet of free printable environmental and earth science lesson plans including science charts and diagrams the carbon cycle, water cycle and more. Use these materials to teach students about critical environmental science issues of forest growth, deforestation, wildfire, ecology, biomes, habitats, ozone, atmosphere and more. Here's a free printable Guide to California Wildlife that takes biology, environmental and earth science students into the biomes and habitats of the creatures in a large forest. This guide explores the symbiotic relationship among forest flora and fauna. Explore biodiversity, ecology, deforestation, natural geological influences, artificial interference and the wonder of nature. The California Forest Foundation provides more free printable biology lessons, crafts, coloring pages, activity sheets, games, simulations, charts, graphs and more. Educators will appreciate the wealth of resources available.Free shipping of these materials is only available for residents in California, but free printable downloads are available to everyone. What kinds of free printable science activities can you find? Matching games, memory games, crossword puzzles, jigsaw puzzles, graphic organizers, charts, diagrams, posters to label, domino games, sorting games, classification activities, response activities, card games, board games, fill-in-the-blank, multiple choice and again, much more. Enchanted Learning has literally tons of free printable science worksheets and biology charts and diagrams, graphic organizers, earth science content webs and more. Scroll down this page of fill-in-the-blank charts for science charts and diagrams on all content areas. Remember, printing responsibly is good green living also. Use the back side of discarded paper and recycle bin fodder for printing. Set your printer preferences to 'fast, economical' to save 50%-90% on ink cartridges.